These are Genuine Walbro 500hp Intank Fuel Pumps direct from Walbro USA. 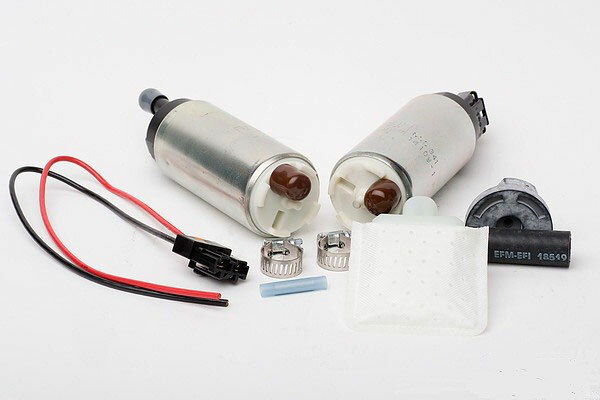 We carry a large range of Walbro Fuel Pumps & Walbro fitting kits to suit Nissan,Subaru,Mitsubishi,Honda,Toyota,Ford,Holden........ so let us know your vehicle and we WILL send you the CORRECT Walbro Fuel Pump & Fiitng Kit to suit your car. 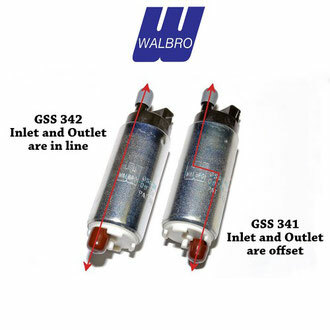 Please Note when ordering your Walbro pump the GSS341 & GSS342 have different inlet and outlet positions.